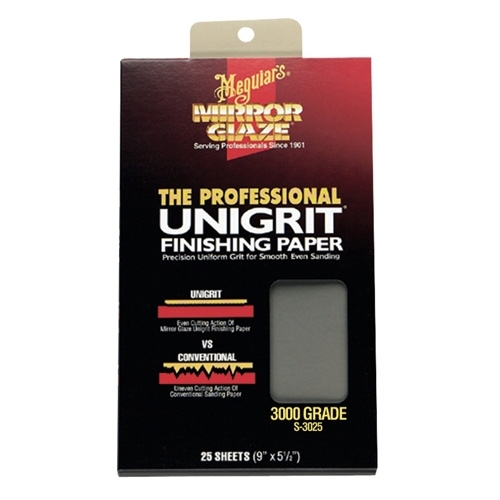 Meguiar's Unigrit Finishing Papers have uniform grit particles to leave a smooth, even sanding pattern that buffs out in seconds. Eliminates the risk of deep sanding scratches that require compounds to remove. Economical to use – works faster and lasts longer. Won’t load up as quickly as conventional sanding products. Safe for use on all paint finishes and clear coats. Waterproof.